Fillderma ® Repair (revitalizing) is a clear, biodegradable, non-animal, non-cross-linked, hyaluronic acid gel. It is absorbed quickly into the skin to replenish the HA that is lost due to aging. With its hygroscopic properties, Fillderma Repair ® moisturizes the skin and restores the elasticity, firming and beauty of the skin. Treatments take 10 to 15 minutes and are regularly repeated at monthly intervals for four consecutive months. Fillderma ® Ultra is a clear, biodegradable, high viscosity HA gels of non- animal origin, prepared by a reticulation process. This process creates a thicker and longer lasting gel that is specially indicated for deeper and more pronounced lines and wrinkles such as the nasolabial folds and the corners of the mouth. It is also used to fill surface imperfections in the dermis such as fine lines, forehead wrinkles, crow's feet, peri- orbital lines and frown lines. Fillderma ® Lips. The unique and delicate lips properties require a filler specially formulated to ensure good results after being injected. Fillderma Lips ® was created specifically for lip augmentation and definition. The result of this particular design is a product easy to inject and very gentle to mold after injection with less incidence of inflammation. HA is a polysaccharide found naturally in the skin and other tissues, and is a key component of the extracellular matrix. 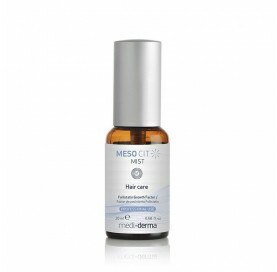 Helps to maintain hydration and contributes to the elastic properties of the skin. Because there are many stuffing HA in the market, one may ask, what makes different Fillderma ® fillers? The answer lies in our unique formula and patented Thixotropic crosslinking technology, which allows a highly viscous gel to be easily injected through a fine gauge needle without causing degradation in the modified HA particles. Thixotropic fluids can under pressure (such as the force used when injecting), increase the rate of flow and then revert to the much more viscous original state once the pressure (Injection) has been stopped. A special crosslinking process has been designed to maximize the effectiveness of the cross-linked HA chains present in the gel. The links between different HA polymer chains are promoted, while the “swing" ineffective links between portions of the same chain are minimized. This results in a gel with maximum benefit in terms of mechanical properties and durability, with a minimum amount of BDDE. 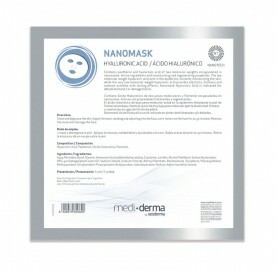 Cross-linked HA status, together with the size of the gel particles, are synchronized to produce a gel which flows easily through a thin needle, but with less stress conditions after injection into the dermis, which provides elastic properties that gives the injected skin a soft and smooth feeling. The osmolarity and pH of the gel are balanced to be compatible with the fluids in the skin, without accumulating or releasing water. This minimizes problems of surplus or volume overcorrection. Because the filler is slowly broken down over time, the cross-linked chain will be broken, allowing the slow expansion of the gel particles, which compensates for the natural loss in dermal filling volume, keeping the level of correction. The degree of crosslinking can also be selected to provide a desired level of the skin durability. By optimizing all these properties dermal filler with superior performance and great patient satisfaction is obtained. Generally, HA dermal fillers are classified into two categories: biphasic or monophasic. Biphasic HA products are composed of particles of stabilized HA gel, suspended in a fluid of non-stabilized AH. In contrast, single phase HA products such as Fillderma ®, are made entirely of stabilized HA gel no particulate. The benefit of this approach is twofold. First, the decomposition of the biphasic HA differs from the monophasic. In the biphasic product the phases of fluid and gel behave differently. The HA undergoes rapid initial degradation of the carrier fluid of non-stabilized HA, and a slower degradation of the stabilized HA gel. To combat this effect, the doctor will have to overcorrect to compensate for the initial rapid degradation. In contrast, the single-phase HA degrades in a simple and consistent manner, allowing the physician to correct until the desired appearance, eliminating the task of predicting the outcome. Additionally, the monophasic HA maintains its cohesive properties when added to water (Remains attached as a "drop” of gel) while biphasic products are more dispersed and separated to form visible micro particles. This explains why some patients experience initial biphasic HA volume loss and residual particles from selected patients treated with monophasic AH do not. Secondly, the total volume of the syringe is filled with fine, soft gel particles clumped together. This uniform composition results in the desired qualities of softness, smoothness, and accurate filling. We have taken great attention to assure that the line of Fillderma ® fillers is easy to inject. We have designed our syringes with extra wide edges of the extended fingers and pistons, which provide ease of use. This new design allows the doctor a higher degree of flexibility to inject. The strong shear thinning behavior of our formulation allows up Fillderma ® Ultra, which is highly viscous, to be very easy to inject with fine needles without compromising the integrity of the gel. The HA used in the Fillderma ® family of dermal fillers is obtained from bacterial biosynthesis , making it safe and non-pathogenic to humans. With less than 0.025 IU / mg endotoxin , and less than 2 ppm of protein * exceeds the highest standard of HA purity . Fillderma ® dermal fillers are completely free ofl animal products , thus decreasing the risk of a immunogenic reaction . The HA used in Fillderma ® product line is naturally integrated into the tissue , maintaining healthy skin and a natural appearance. Fillderma ® product line is composed of non-permanent materials allowing customers the opportunity to re- assess their needs throughout the course of treatment as they wish .